is a historian and a writer, whose work has appeared in Atlas Obscura, Curbed and Kcet, among others. She lives in Los Angeles. We carry stuff in them ­– groceries, clothes, gifts, trash and booze. I carried my lunch to school in one until the fourth grade because my mother would decorate them with stickers and drawings. People add sand and candles to them to illuminate their neighbourhoods at Christmas. Disgruntled sports fans cover their heads with them. But how many people know where the flat-bottomed paper bag came from? Or that its invention was a triumph of feminism over patriarchy, and of brains over bullying? For most of recorded history, containers were made of leather, wood, cotton and reeds. Paper, made by hand one sheet at a time, was a luxury, used only for books, records and letters by the literate few. In 1799, a French inventor named Louis-Nicolas Robert was granted a patent for a machine that produced rolls of paper. This invention brought paper to the masses. Soon, merchants were using rolled paper, or ‘cornucopias’, to package small quantities of goods, with predictably messy results. 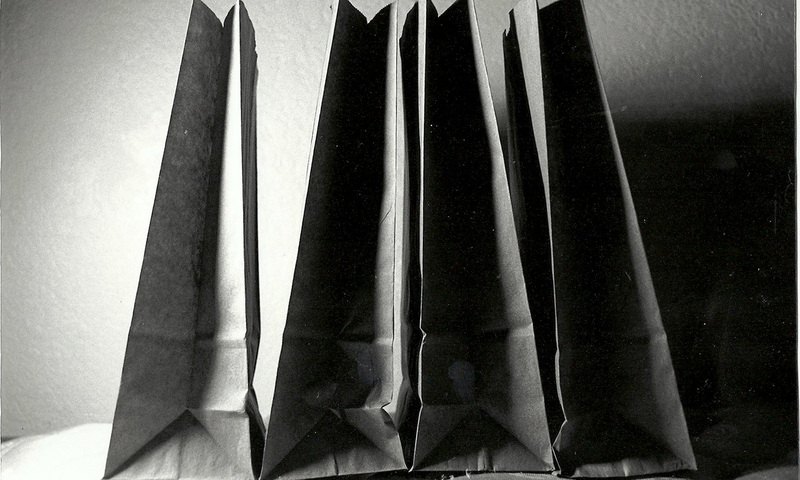 They also constructed rudimentary paper bags by hand, which was a time-consuming and not always successful process. As a child, I never cared for things that girls usually do; dolls never possessed any charms for me. I couldn’t see the sense of coddling bits of porcelain with senseless faces: the only things I wanted were a jack-knife, a gimlet, and pieces of wood. My friends were horrified. I was called a tomboy; but that made very little impression on me. I sighed sometimes, because I was not like the other girls; but wisely concluded that I couldn’t help it, and sought further consolation from my tools. I was always making things for my brothers; did they want anything in the line of playthings, they always said: ‘Mattie will make them for us.’ I was famous for my kites; and my sleds were the envy and admiration of all the boys in town. By the time she joined the Columbia Paper Bag Company as a lowly factory worker, the 30-something, unmarried Knight had spent years as a ‘Jill-of-all-trades’, becoming proficient in daguerreotype, photography, engraving, house repair and upholstering. Spending long hours at the factory, she soon heard of current efforts to create a machine that could efficiently manufacture flat-bottomed paper bags. ‘I am told that there is no such machine known as a square-bottomed machine,’ she wrote in her journal. ‘I mean to try away at it until I get my ideas worked out.’ Independent of the factory and without her bosses’ knowledge, Knight began to study the issue intently. By 1867, she was hard at work on creating a machine that could ‘cut, fold and paste bag bottoms itself’. Her work kept her up at night, leading the manager of her boarding house to declare: ‘I saw her making drawings continually… always of the machine. She has known nothing else, I think.’ Her work on the machine also bled into her shifts at the factory. This initially annoyed her superiors – until she showed them her plans – which led them to believe that she had a ‘keener eye than any man in the works’. After a ‘rickety’ wooden model of her machine proved successful, producing thousands of ‘good, handsome bags’, she had an iron version produced in 1868. While the machine was at a Boston shop to be refined, it was viewed by Charles F Annan, a would-be-inventor of dubious morality. Knight prepared to apply for a patent for her new machine. In 1871, she was shocked to find that Annan had already been granted a patent to the machine, which he claimed as his own. The dispute ended up in court, where the cash-strapped Knight spent $100 a day to hire a patent attorney to prove that she was the machine’s true inventor. Annan’s lawyer argued that an uneducated, self-taught woman could never have built such a sophisticated machine. He was countered at every turn by the mountains of physical evidence and eye-witness testimony Knight produced. ‘I have from my earliest recollection been connected in some way with machinery,’ Knight protested. In the end, the commissioner of patents found in favour of Knight, though officials could not resist chastising her for waiting so long to apply for her patent. However, since Knight was not a ‘man of business’, this oversight was forgiven. On 11 July 1871, Knight was granted patent number 116,842 for her ‘new and improved machine for making paper bags’. She soon formed the Eastern Paper Bag Company with a partner, and became a media darling for her revolutionary machine, which did the work of 30 labourers. The new stand-alone, flat-bottomed bags were quickly adopted by large department stores and grocers, and Knight was awarded a royal honour from Queen Victoria. In 1883, Charles Stilwell of the Union Paper Bag Machine Company, working from Knight’s patent, further advanced the paper bag with his invention of a machine that produced the Self-Opening-Sack (SOS), the pleated flat-bottomed bags that are used today. The vivacious Knight, dubbed by one paper the ‘lady Edison’, would spend the rest of her long life – she died aged 76 in 1914 – inventing. By 2006, when she was inducted into the Paper Industry International Hall of Fame, it was estimated that around 25 billion paper sacks were used annually throughout the world. In the past decade, Knight’s dramatic story has been told in two popular children’s books – Marvelous Mattie (2006) by Emily Arnold McCully, and In the Bag! (2011) by Monica Kulling. She is emblematic of a whole multitude of female inventors, such as Mary Anderson (the windshield wiper), Katharine Blodgett (non-reflective glass), and Stephanie Kwolek (Kevlar), who created life-changing inventions within industries – and a world – dominated by men. Their stories are important and should be better known. They can inspire future generations of girls and young women to tinker, experiment and invent.